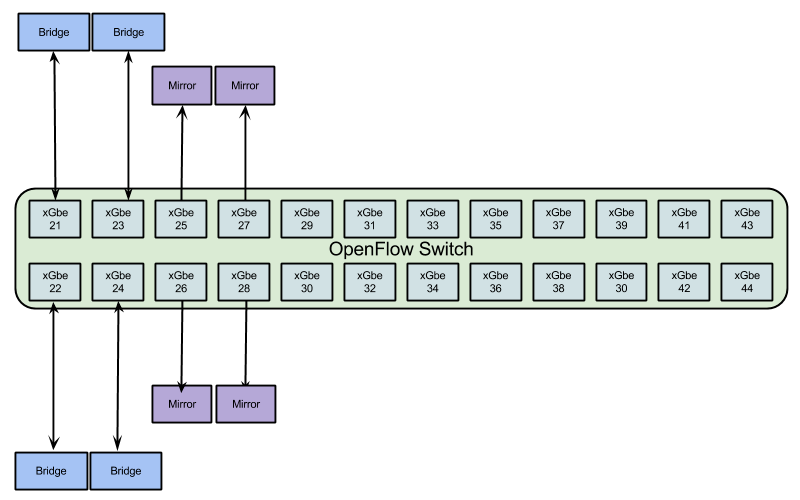 « Can an OpenFlow Switch Replace a Tap Aggregator? In the last post, we covered configuring a Pica8 3922 as a One-to-Many port replicator. For this post, we will not repeat the initial setup steps, just the extra details. Here is a design where we take four ports and bridge them and then mirror the resulting traffic out four more ports. Founder and Chief Analyst at Router Analysis, Steven has over 20+ years of experience designing and running large networks. Since 1996 he has been heavily involved in writing and executing test plans for networking devices. His professional experience includes CTO of Sideband Networks (Current), VP of Technology at XDN Inc, Technical Leader at Cisco and Procket Networks and Fellow - Network Architecture at Exodus Communications.